The Call of Duty Endowment charity was founded in 2009 by Activision Blizzard CEO Bobby Kotick, with a mission to "identify and fund the most efficient and effective organisations that get unemployed veterans back to work" across the USA and UK. Now celebrating its tenth year running, the non-profit has released some impressive figures showcasing the success it's had in achieving that mission over the last decade. Since starting up, Call of Duty Endowment has helped over 54,000 veterans find jobs, and 10,686 were employed in 2018 alone. Games do good, people. That impact is thanks to Endowment awarding over $36 million in grants to associated organisations over 10 years, which has been generated through the charity's fundraising efforts. Indeed, some of that fundraising has even recently come from the Call of Duty playerbase itself via purchases of the Endowment Salute Pack in Black Ops 4, a cosmetic microtransaction bundle in which all the proceeds generated from every sale go straight to the charity's grantees. But Call of Duty Endowment has even bigger plans for the next decade and beyond. The organisation has recorded a 59% increase in veterans asking for help, and that one third of working veterans are still underemployed in 2019. With that in mind, it wants to effectively double its impact by 2024, reaching 100,000 veterans employed within that timeframe. If you want to support the work of the Endowment program, you can donate here or set up a fundraiser in collaboration with the non-profit by heading to its site here. 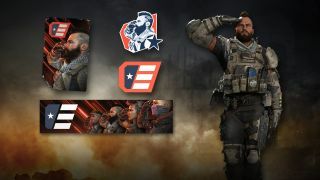 Alternatively, Black Ops 4 players can still pick up the Endowment Salute Pack on PC, PS4, and Xbox One to generate some funds for the charity while also receiving tag, sticker, gesture, calling card, and emblem for your in-game avatar. Plus if you yourself are a veteran in the US or UK currently looking for work, or you know someone in that position, the Call of Duty Endowment website can also connect you with one of its partners to help with the employment process, so do get in touch. Discover more about the big new games of 2019 by following the link, or watch our Release Radar for April 1 - 6 to find out what's going on in the world of gaming, film, and TV.